Specially designed for most 7-10 inches tablets. Sturdy and well constructed, no issues with it losing grip or slipping at all. 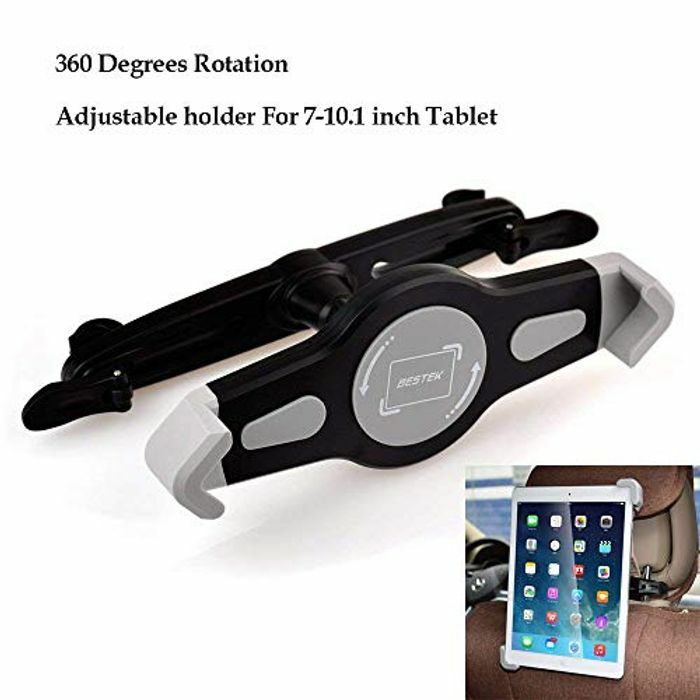 360 degree adjustable, you can watch movies or play games at any angle you like. Easy to fit. My normal sized iPad won't fit in in its cover but the mini is perfect. Angles well. Pleased with the quality.